In 2009, Zion Packaging opened its doors in sunny San Clemente, CA. Through passion and persistence we were able to dig a foot hold in the local co-packaging scene. We were blessed to have people on our side that believed in us enough to recommend us to their customers. We have continued to invest in ourselves and grow. Since then we have accumulated hundreds of customers spanning North and South America. We look forward to the opportunity to work with you! Fluorescent and thermo chromatic inks can add a special flair. All sides of the bag are custom, so you can print everywhere. We can change the appearance of the bag to be glossy or dull. We can change the texture of the bags. We can 3D model your product inside of the pouch or bag. We can use the metallic substrate or we can use metallic and pearlescent inks. Bags make your product stand out. Bags can have hang hole, laser cut, tear tabs, vents and more. Every customer has their own special requirements and we try to use the tool that matches the job. Gravure printing is our preferred method as it gives us the highest quality, the most design options and the best printing. First things first, we discuss which facility is packaging for you and what your bagging facility is capable of doing. We then prepare a printing template based on your product fill, your facilities requirements and your finished product expectations. Using this template, your design group prepares your artwork in accordance with the printing template and then submits it to Zion Packaging for conversion. Zion performs prepress and applies any need distortion to the artwork. We then provide you with a high-quality final proof for approval. It is then up to you to either return any changes to our design department for implementation or you authorize production and send a PO. After you have approved the artwork, we release for cylinder creation. For gravure printing, our cylinder maker will take metal cores and affix a copper layer to it. They will then laser engrave or acid etch the cylinder as required by the artwork. After the printing cylinders are created, they are transferred to the printing presses and printing begins. 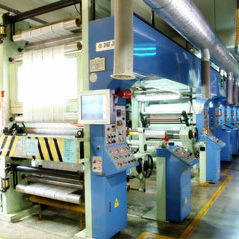 For gravure printing, the presses can run at speeds of around 125000 pieces per hour. For digital printing, the speed is so slow it is reminiscent of a dialup connection. 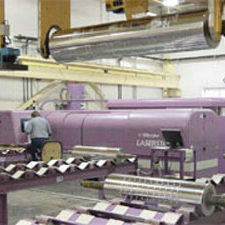 After the film is printed it is transferred to a slitting machine which cut the big role into single item rolls. After that completes, the film is bonded and laminated with other materials to meet the storage requirements of your products. Once everything gets boxed up, your bags will then go on a truck, a train, a boat or plane. We offer free storage for the effective life of the bags at our Corona facility. Alternatively, we can ship to your facility or directly to your contract packager. Often a client will offer a family of products that may employ similar features or elements. There are design considerations that may allow the use of common plates/cylinders in several products, offering significant savings. Similarly, clients many times offer a product in several countries, with requirements for different languages. In these cases, it tends to be incredibly practical to design with black or dark text. It is common to be able to utilize overprint techniques, where *only* the primary text cylinders is unique, and all other cylinders are commonly used. Please ask Zion how to achieve this goal. Upon approval of electronic PDF, Zion will create an Epson print proof for the client to review before the project is released to plate/cylinder creation. In the event a client must have 100% certainty of the final product, Zion offers on-press first articles. An additional fee applies for this service. Contact Zion for details. How many colors can Packaging support? What is your DPI printing capability? Typical DPI is 175-220, with capability up to 250. All Zion Packaging cylinders are guaranteed for life. In the event a cylinder is needed beyond its useful life, Zion will replace the cylinder at no cost. How much are shipping and import costs? All import and shipping costs, if any, are included in the quoted price. 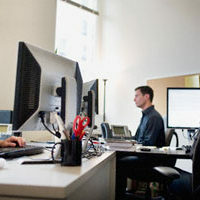 Design work, computer file preparation, proofs and film are quoted and billed separately, depending on customer requirements. For gravure printing, cylinder engraving typically costs $350-475 per cylinder (color), depending on the size of the cylinder. For flexographic printing, cylinder engraving typically costs $100-$150 per cylinder (color), depending on the size of the cylinder. For digital printing, expect an artwork preparation charge of $100. For gravure, we can typically deliver initial bags to the west coast within 6 weeks of art approval. Or by airfreighting at an extra charge we can produce and delivery within 15 business days from artwork approval. 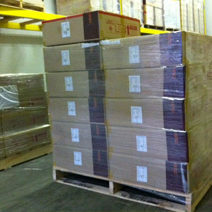 Repeat orders can reach the US within 3-4 weeks of order. Please give us a call to discuss. 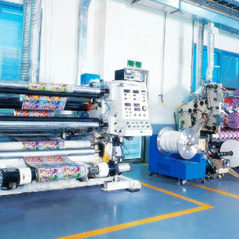 For Flexographic, typically 10 to 50 thousand. For Digital, 5 to 5000. FOB California with advanced deposit and down payment for a bag order and cylinder creation. Zion will extend payment terms to qualified customers.